Now we’re squarely into December, and the temperature has taken a rather seasonal downward turn, I’m all about hiding indoors and giving myself a bit of a pamper. 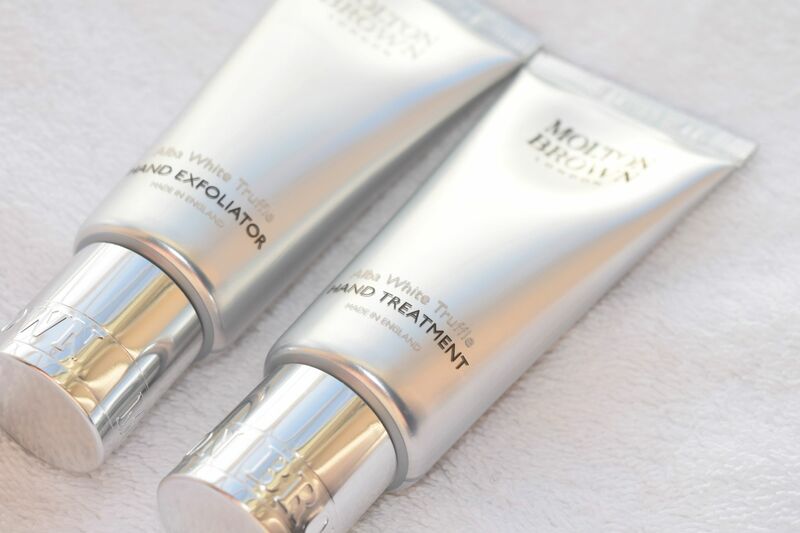 So, these brand new goodies from Molton Brown couldn’t have arrived at a better time! 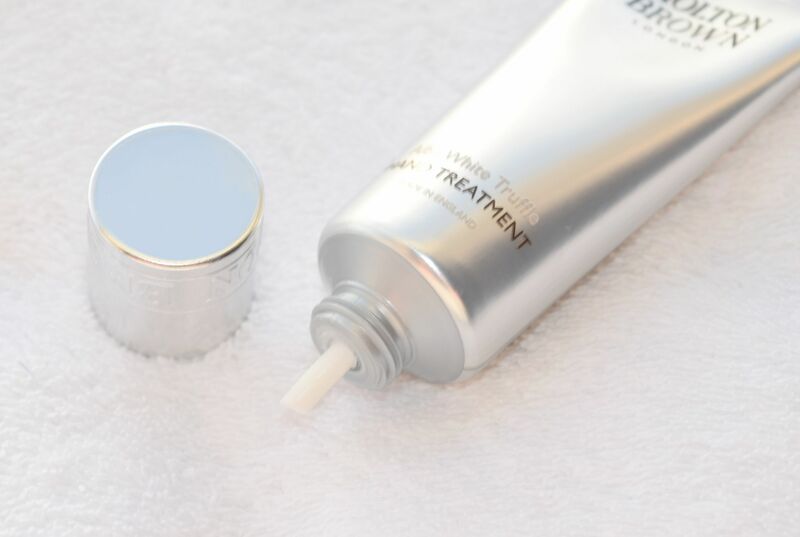 Packaged in some seriously slick silver tubes, the Alba White Truffle duo are designed to really treat and soothe winter-ravaged hands, and they could feel more luxurious to use! They really are a must-have if you like a do-it-yourself manicure! 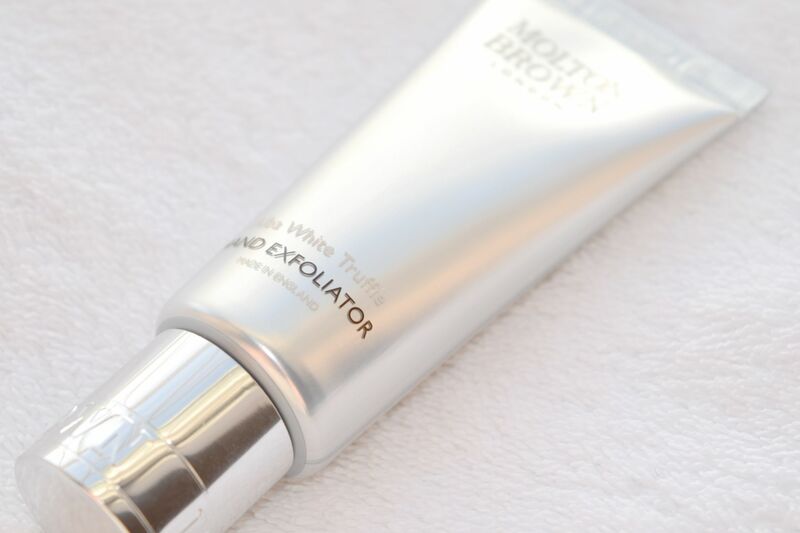 Once or twice per week, and before painting my nails, I’ve been using the Hand Exfoliator. It’s a super thick scrub which smells absolutely incredible! 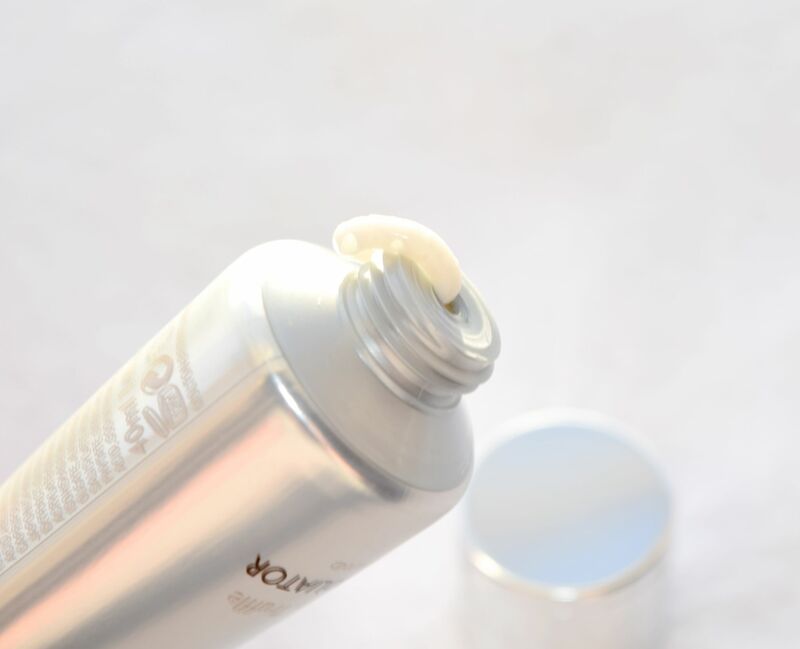 The formula contains a rare Alba truffle extract to soften skin, and since it has such a rich texture, you only need to use the tiniest amount per application. The duo has to be one of the best smelling products I’ve tried all year! The fragrance contains a blend of myrrh, nutmeg and vanilla, and it’s ridiculously yummy. It’s the perfect gourmand scent, and I really can’t get enough of the stuff! I wash off the exfoliator using warm water and a clean flannel, and my hands are so, so smooth. If, like me, you suffer from cuticles which peel and hands that need a little pampering, you have to try it! 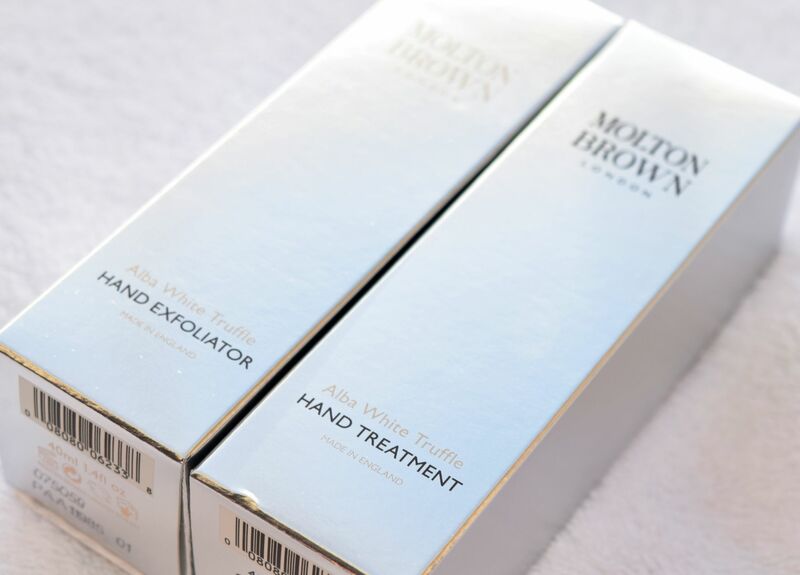 After giving my hands a good slough, I’ve been slathering them in the delicious Alba White Truffle Hand Treatment. 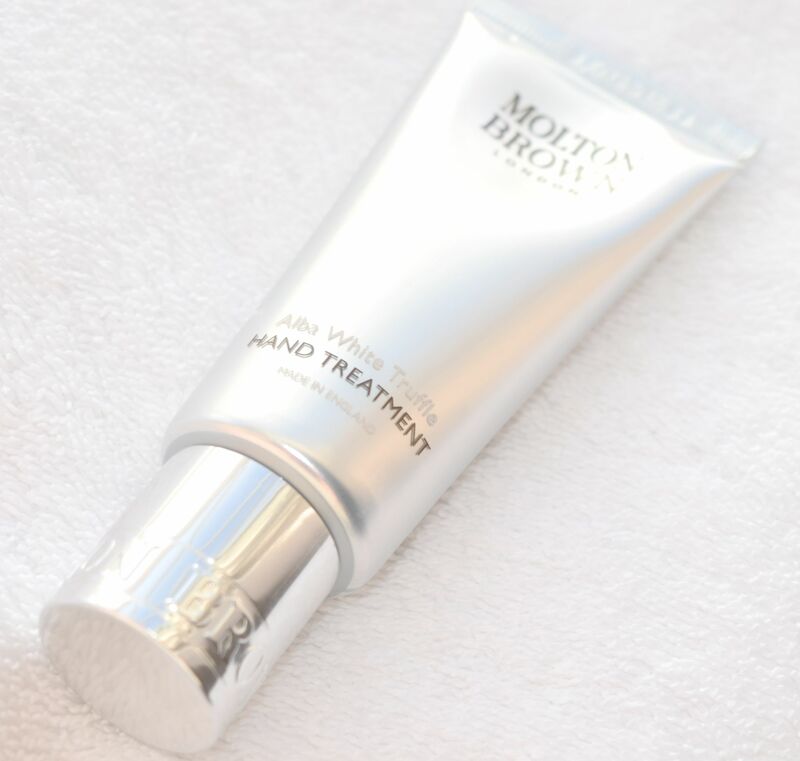 It’s one of the thickest and most luxurious hand creams I’ve tried, and it’s absolutely glorious! Despite the incredibly thick consistency, the Hand Treatment really soaks into skin quite quickly, and it leaves skin feeling soft and hydrated rather than sticky. Again, the scent of the cream is divine – heavily vanilla-based, but in no way too sweet or cloying. It’s a beautifully festive option! Using the duo feels like such a treat, and my hands are really showing the benefit of using them!